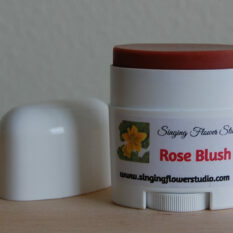 Our rose lotion smells like a rose garden in the summer with the aromatic fragrance of rose right out of the bottle. 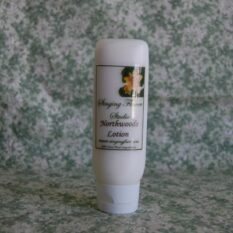 As with all our products, this lotion is gluten free and vegan appropriate. Our Organic sesame oil helps to protect against UV rays and warms the tissues. 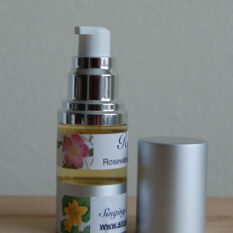 Organic rose hip seed oil from the orange fruit of the rose flower protects against aging. 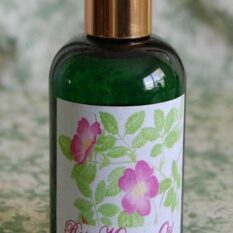 The organic argan oil and grapeseed oil add their healthful benefits to your skin. 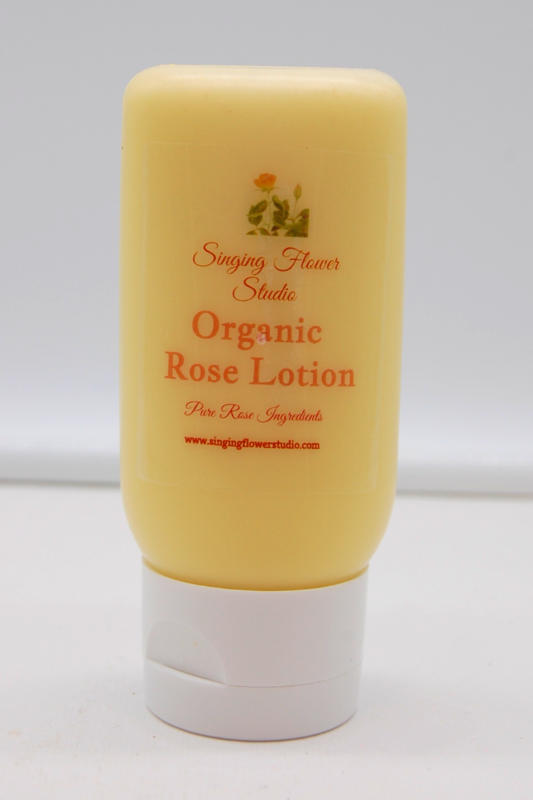 International nomenclature for Rose Lotion: Distilled water, Vegetable Emulsifying wax, Organic Argan Oil (Argania spinosa), Grapeseed Oil (Vitis vinifera), Organic Sesame Seed Oil (Sesamum indicum), Organic Jojoba Oil (Simmondsia chinensis), Organic Rose Hip Seed Oil (Rosa rubiginosa), Rosemary Oil Extract (Rosmarinus officinalis), Vitamin E, Leucidal Liquid (a preservative made from radish roots), Rose (Rosa damacena), Vanilla (Vanilla planifolia) and Oakmoss (Evernia prunastri) Absolutes, Essential Oils of Amyriss (Amyris balsamifera), Ylang Ylang (Cananga odorata), Champaka (Michelia champaca), Bergamot (Citrus bergamia), Plumeria (, Neroli (Citrus aurantium), May chang (Litsea cubeba), Melissa (Melissa officinalis), Helichrysum italicum. 85% organic, 2.5 oz.